On 21 February 1903, pedestrians bustling about the streets of downtown Raleigh on a waning Saturday afternoon gazed in horror at a bleeding body crumpled in the middle of Fayetteville Street. Ernest Haywood, son of a prominent lawyer, had shot Ludlow Skinner, son of a well-known Baptist minister and “quiet and gentle as a woman,” in cold blood. (For the messy backstory, see here.) The crime, widely reported in newspapers across the state, captivated the public. Wilson native Ned Barnes (1869-1912), son of Willis and Cherry Battle Barnes, found himself thrust into the center of the months-long criminal court proceedings as the State’s star witness. The following witnesses were called to prove the character of Ned Barnes, to-wit: R.G. Briggs, a manufacturer of Wilson [Ned had worked for him as a coachman]; F.W. Barnes, of Wilson; F.A. Woodard, of Wilson, former Congressman from that district; Walter Woodard, tobacco manufacturer of Wilson; Geo. D. Green, hardware merchant of Wilson; W.R. Crawford, steward of State Hospital, Raleigh. 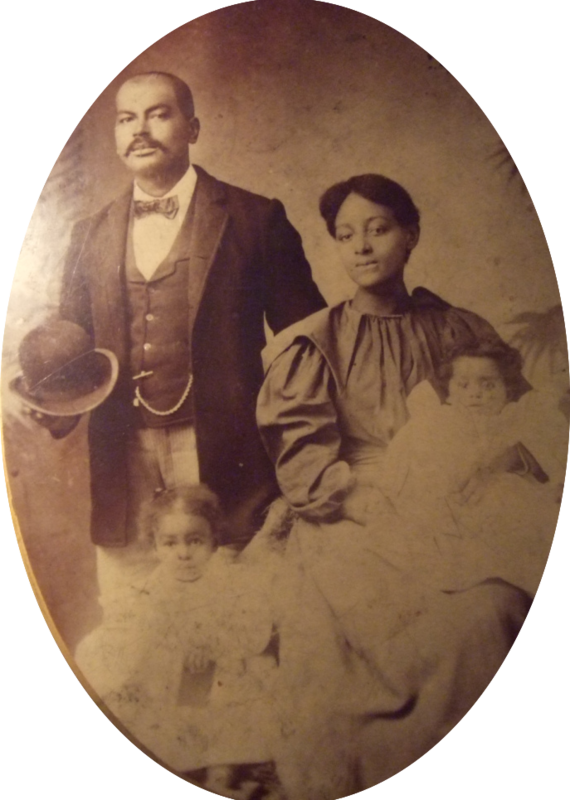 Ned Barnes, wife Louisa Gay Barnes, and children Mattie and Alice, circa 1898. Photo courtesy of Katie Chestnut Barnes. ← Baptizing at Contentnea Creek.